HI! 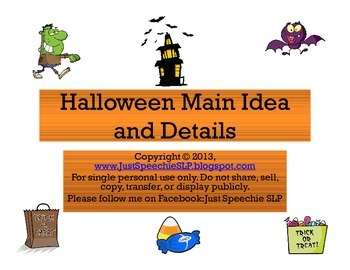 This language packet is exactly like my Camping Main Idea and Details packet, except for the Halloween theme! 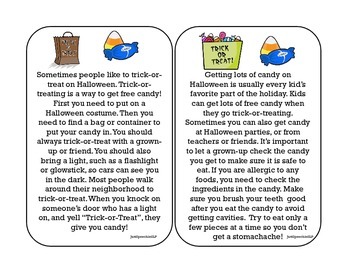 It includes 12 Halloween stories, a main idea and details template, and a double-wide board game. 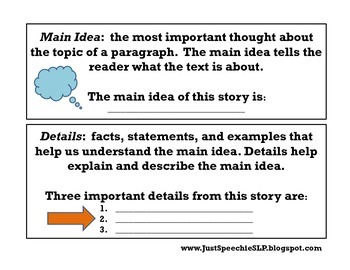 Story topics include: how to make a ghost costume, trick-or-treating, haunted houses, and more! 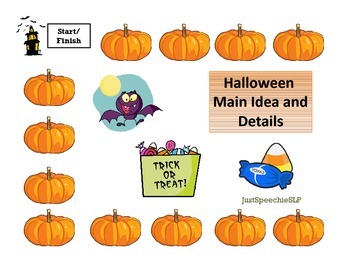 Your students will have a great time racing around the Halloween board and identifying the main idea and at least three key details for each story. Have fun, and please don't forget to leave feedback!